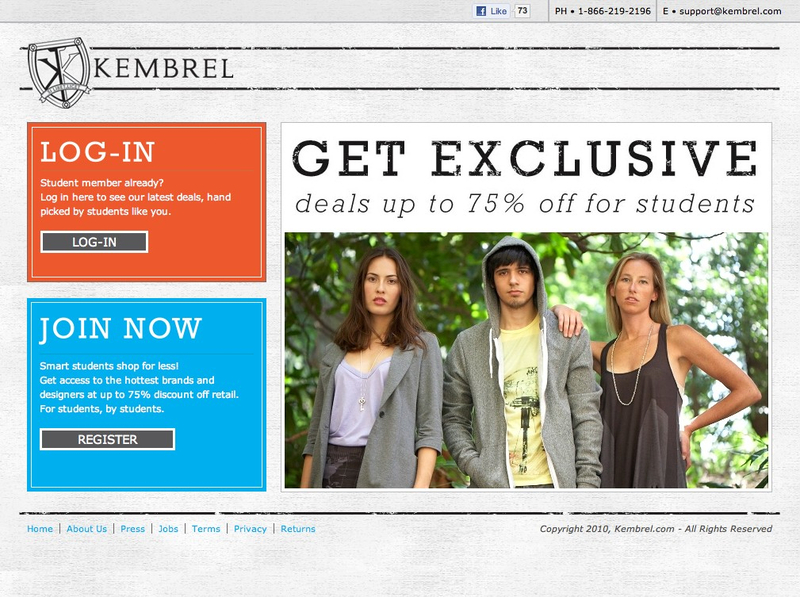 One day prior to Overstock's private sales site, upstart Kembrel, yesterday, launched what it claims to be the world's first Facebook private sales store for college students. Accessible from browsing to checkout completely within Facebook, the store, the store now has 20,000 registered users gleaned mostly through word of mouth during the beta period. At launch, 50 brands which are "tightly curated by young buyers who understand the student market" have signed on with the platform.